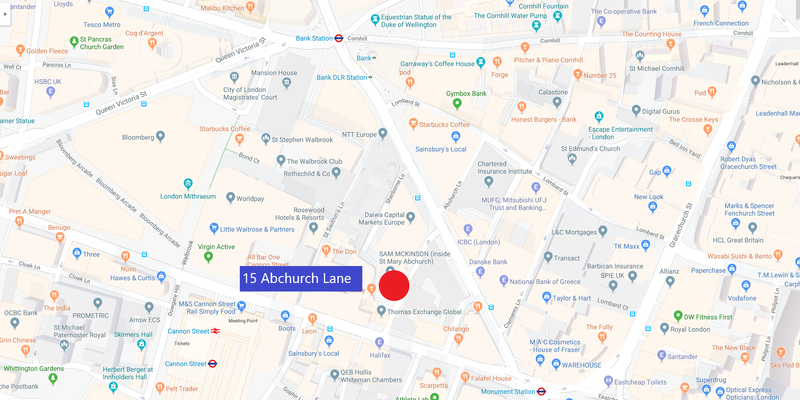 Your webmaster has been in touch with the RPS about the move to the new premises at Abchurch Lane in The City - he has been involved with departments from the Corporation of the City of London about this. March 15, 2019 - All access to the library and philatelic collections at Devonshire Place ceases. September 1, 2019 - RPS reopens at 15 Abchurch Lane. Your webmaster would suggest using Bank Tube station for the very short walk to Abchurch Lane - members though who use the Circle and District lines should alight at either Monument or Cannon Street - depending on the direction of travel - which are equally close.